Gearing up for the 2017 Stapleton Open Studios! So excited to be welcoming 28 artists this year, 9 of which are new to the tour and bring a variety of media in their artwork. The tour could not happen without the gracious support of our sponsors. Thanks to all of you who support the arts! 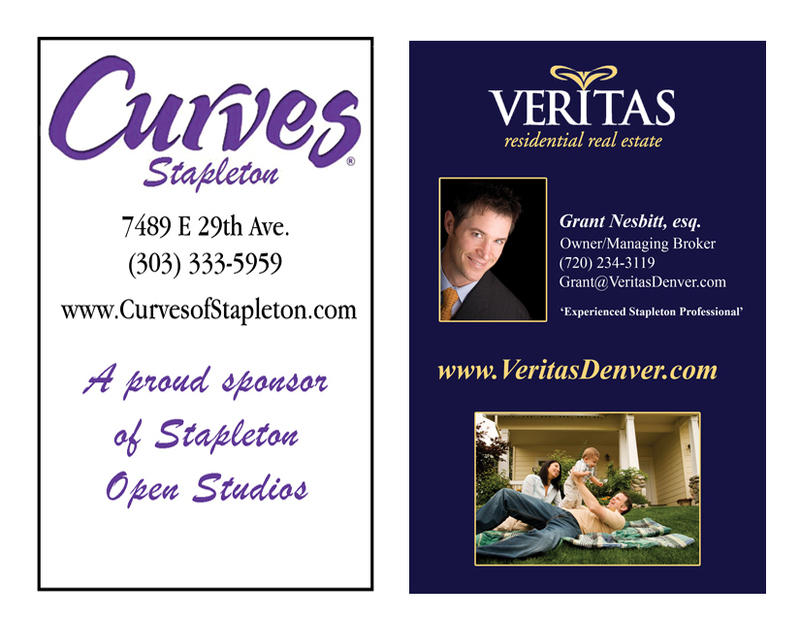 Special thanks to Grant Nesbitt of Veritas residential real estate, and Ruth Phillips at Curves of Stapleton for supporting Open Studios since the beginning, five years ago.